Calculate your monthly car payment for loans ranging from one to six years. Interest is compounded every month. 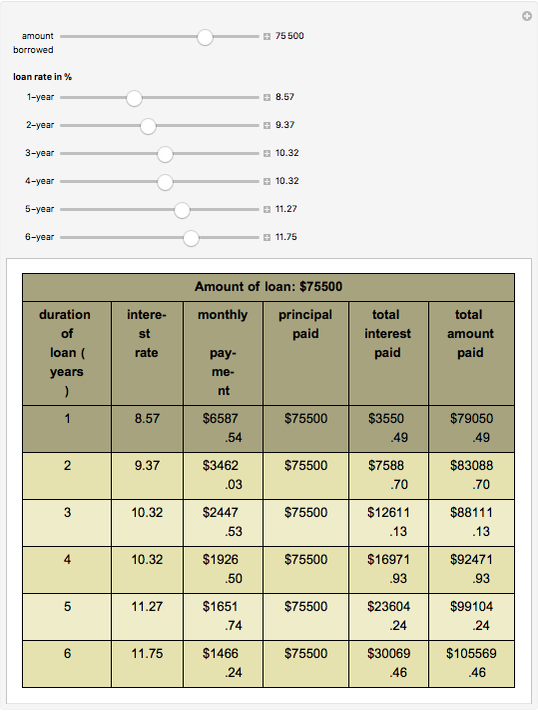 For a $10,000 loan at 5%, the total amount paid is not $10,500, because the first monthly payment's interest is for only 1/12 of a year, and so on; only the last monthly payment has interest calculated for the whole year. 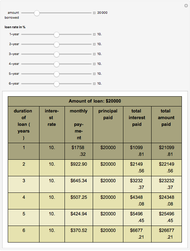 Igor C. Antonio "Auto Loan Calculator"